Coaches and team managers say TeamSnap saves an average of 12 hours per month (we’re talking nearly a week-long vacation a year! )—thanks to the ease of having everything you need to manage a team or group activity all in one place. Want to learn more about the magic? Here are five popular features and specific ways they can help. Team Chat: Use it for conversations, updates—and to send last-minute alerts. When Beth Emmons’ Girl Scouts troup needed to line up for a Memorial Day Parade, their assigned meeting point was blocked by construction. “They wouldn’t let us through and we had to change the location at the last minute,” Emmons explains. She sent an alert via Team Chat to the girls’ parents, and everyone was able to regroup at a new location within five minutes. “Team Chat was a lifesaver that morning, because finding everyone’s numbers to send a text would have taken too long,” she says. Scheduling: Keeping everyone on time, at the right place and on the right day can be a challenge, especially for away games and events. 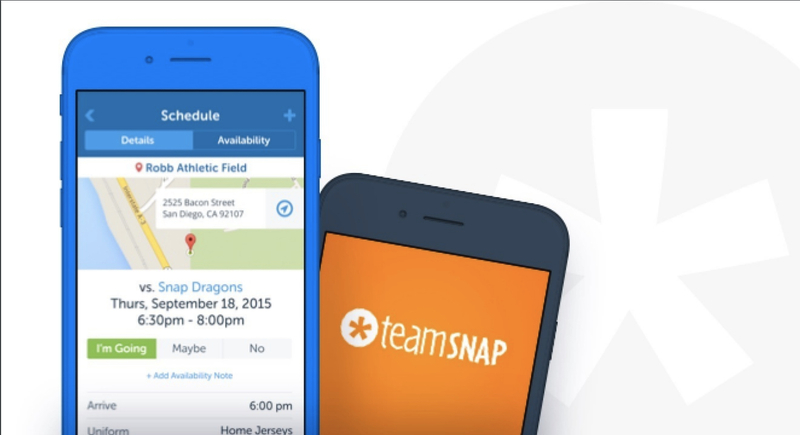 The TeamSnap scheduling feature not only alerts you to upcoming events, it also syncs with mapping apps to provide directions to get there. Bonus: If you’re an iOS user, you can ask Siri: “What’s next on TeamSnap,” and she’ll sync with your schedule and let you know the name, date, and time of your next game. Team Store: Let’s hear it for showing your colors! Score customized uniforms and apparel to cheer your favorite players, right through the app. Choose from a growing selection of clothing and gear to create your store, and easily allow players to purchase items. Member Availability Tracker: Knowing who’s showing up to a game is always important, and with sports like tennis (ahem, if there are only two folks involved), it can be key. Players can alert coaches to their availability on a calendar months in advance, making it easier to book courts without losing fees. Travel teams can also benefit from tracking a roster. You’ll never have to forfeit a game.